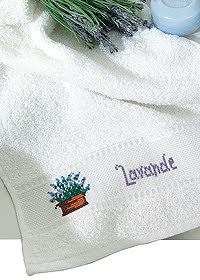 This is a very easy nighter cross stitch work. I got the idea from the magzine. Since it's a kind of personal special gift and practical, I really like it. I ordered the coaster online. 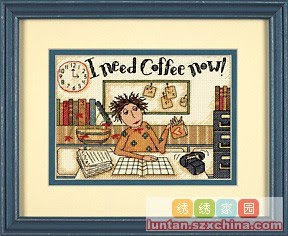 There are some cross stitch and craft webstites selling it. It costs nearly nothing, but you have to remeber the postage. So I bought some useful small tools with it together. The first coaster arrived with a crack. Luckly, I got the second one for free. When I saw the mug on the coaster, it is more than I expected.Try it, you will like it! I was really touched by the book and spent two nights reading it till 1am. It is a compelling romance set in nineteenth-century Cornwall. I like the happy ending. If you like 'Pride and Prejudice', I bet you would love this one. And it is much easier to read and understand. Roz Trevaskis was boin into a respectable family but was abandoned by her un-married mother. Her grandparents gave her good education, even though it was useless for her to work at the Three Mackerel Inn as a waitress. Due to her alcoholic mother, she got to know the justice and fell in love with him. She could feel herself trembling and didn’t dare look up. Could he hear the drumbeat of her heart? What did he want? What did she want? With gentle hands he cupped her face and tilted it up. Was she mad? Had living with her mother taught her nothing? Was she not witness every day to the disastrous repercussions of intemperate behaviour and emotional indulgence? Branoc Casvellan was different. He was a man. Men could behave as they wished. Lowering his head he brushed her cheek with his lips. Her breath hitched on a sound that was half gasp, half sigh. Her eyes closed and heat surged through her body. It meant nothing: a token of thanks, a gesture of gratitude in exceptional circumstances. Now he would move away. He must, for she could not. But he remained, his breath quickening, standing so close she could feel warmth radiating from him as she inhaled his scent. Uttering a sound from deep in his throat, he rested his forehead against hers. Unable to stop herself, her eyes still closed, she raised her chin a fraction. She heard his in-drawn breath then his mouth sought hers, covered it. His lips were warm, the kiss tender. But beneath it she sensed more powerful emotions held in check by an iron control. She swayed, and to steady herself rested her hands on the front of his shoulders, feeling the heat of his skin through the fine fabric and the play of muscle as he moved. His breath hissed as he dropped his hands to her shoulders, his fingers strong, hurting as he deliberately moved her back, away from him. Suddenly she felt cold, so cold. “I am not my father,” he said through gritted teeth. Her head jerked up and she looked directly into his eyes. “No one who knows you would ever think that.” Her voice was a ragged whisper as she dashed the tears away with the fingers of one hand and the heel of the other. It would be easier, more comfortable, to let him take full responsibility for what had occurred. But it would not be honest. Her gaze never left his as he drew the shawl around her. She moistened her lips with the tip of her tongue and, tasting him, felt a deep liquid pull at her core. “Had I thought otherwise I would not have stayed.” She saw surprise in the quick lift of his brows. “Are those your only reasons?” She could say yes. That was what she should say. He would accept it at face value, and the last few minutes could be disregarded as if they had never happened. “No.” She hugged the shawl closer.